80pc. SAE and METRIC TAP and DIE SET. 40pc. 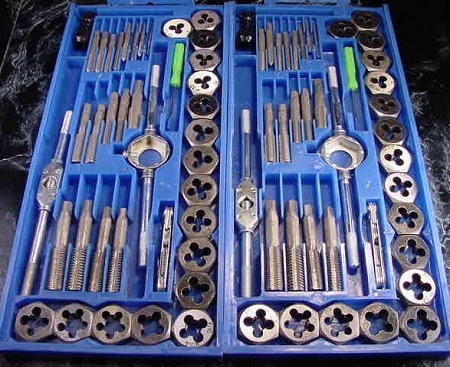 SAE TAP and DIE SET. SAE Sizes: #4 X 40 to 1/2" X 20. 40pc. METRIC TAP and DIE SET.